I decided it was way past time that I review one of Samsung’s tablets. I’ve reviewed all the major brands of tablets before, and a lot of non-major brands, so when Samsung released their latest line of Android tablets at the beginning of this month I picked up the 7-inch model to review. I initially wrote off the new Galaxy Tab 4 lineup of tablets because the specs aren’t as good as some similar tablets, but I’ve found that specs don’t always mean everything when it comes to Android tablets—there are a lot more variables than just processor speed and screen resolution. 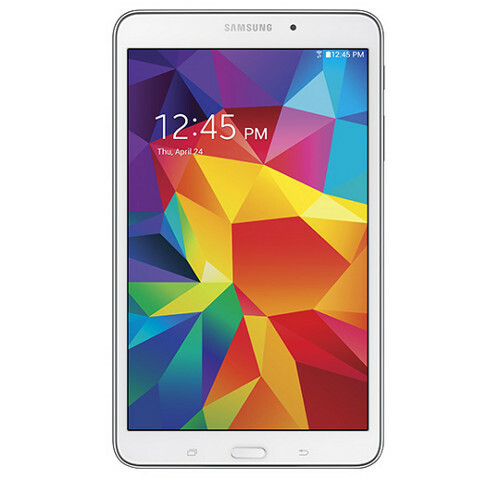 I’ve been using the Galaxy Tab 4 for two weeks now, and I just got the written review and video walkthrough posted. Hit the link below for the full review. I’ll also be posting some comparison reviews between the Galaxy Tab 4 and the 2nd gen Nexus 7 and Kindle Fire HDX, so check back soon for those. On another note, what is the stand you used in this review to hold the tablet. It seems pretty cool. If it is something that you like can you post a link please? I know what you mean. I miss reviewing all the different ebook readers when there was something new coming out every few months too. Sure is a lot different now. The stand I use in the video is called the 3feet stand. I reviewed it a couple years ago, and still use it all the time. It’s a pretty cool little stand. Nathan, let me echo the first comment — great review and let me add that I enjoy the video reviews a lot. Seeing the device in actual use gives a fairly new to tablet culture person more understanding. Also, they are quite thorough.